This short guide will help you find the best dedicated server hosting for your project. Choosing the right type of hosting for your website can make all the difference. As web hosting can affect your site in many ways, including user experience, how secure it is, search engine visibility, and ease of management, it’s vital that you choose the right option. Among the many different types of web hosting available, dedicated hosting is often seen as the best type of web hosting money can buy. However, it’s not right for every website and with so many different companies to choose from, finding the best dedicated hosting service isn’t always straightforward. However, if you follow the advice in this guide on how to choose the best dedicated hosting for your project, you’ll not only discover if this is the right type of service for your website, but you’ll also learn how to choose a provider and plan that matches your requirements. 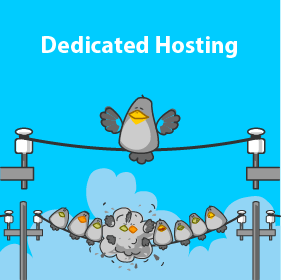 Before you can start looking for the best dedicated hosting provider, you need to understand what dedicated hosting is. 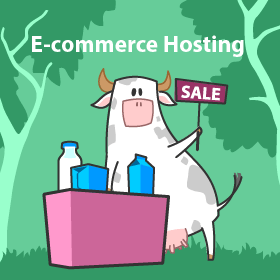 When someone is building their first website, they often opt for a shared hosting plan due to the low prices. 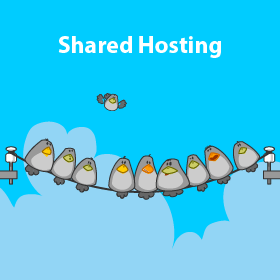 With shared hosting, one server can host thousands of different customers and their websites. 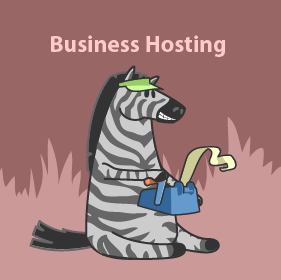 In a dedicated hosting plan, you are the only customer on the server. 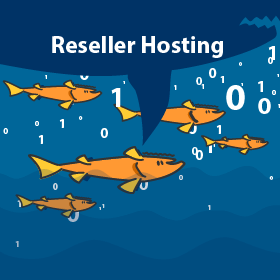 This means, that unlike lower cost shared hosting, you are not sharing server resources such as CPU cycles, storage, RAM, and bandwidth with anyone else. These resources are dedicated to you and you alone with the goal of ensuring your website loads quickly, is secure and always available. As you can see, there’s a lot to consider when searching for the best dedicated hosting. 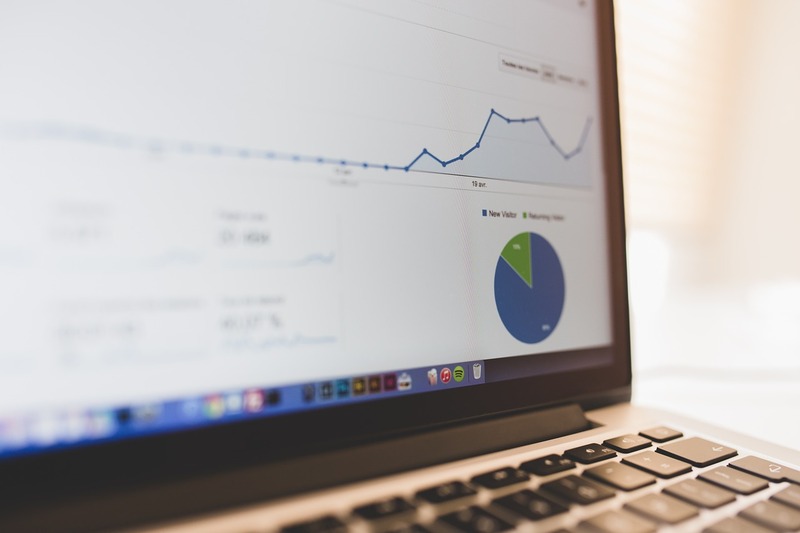 As stated earlier, new websites that have yet to take off are often hosted on shared plans for financial reasons. However, when a site begins to develop an audience and starts receiving more traffic, it can quickly outgrow entry level shared hosting. One upgrade option is to switch to a dedicated hosting plan. They are ideal for popular sites that receive a lot of traffic or are consuming server resources in other ways. Businesses also tend to opt for dedicated hosting as they don’t want to run the risk of their site slowing down due to shared resources. Another reason is they don’t want their database or website files on a server that other people have access to. As mentioned earlier, one of the most important benefits to choosing dedicated hosting is that you get the full resources of a single server. You don’t have to worry about other customers using up resources that could slow your server down and negatively affect your website’s page speeds or uptime. 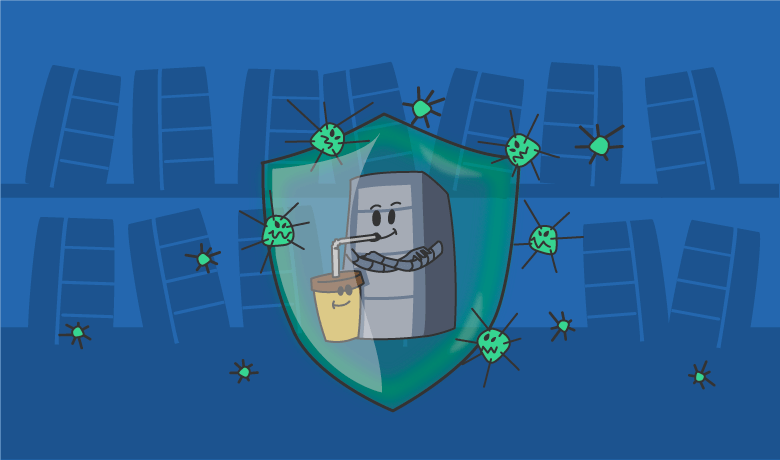 Security is another reason why people choose dedicated hosting plans. 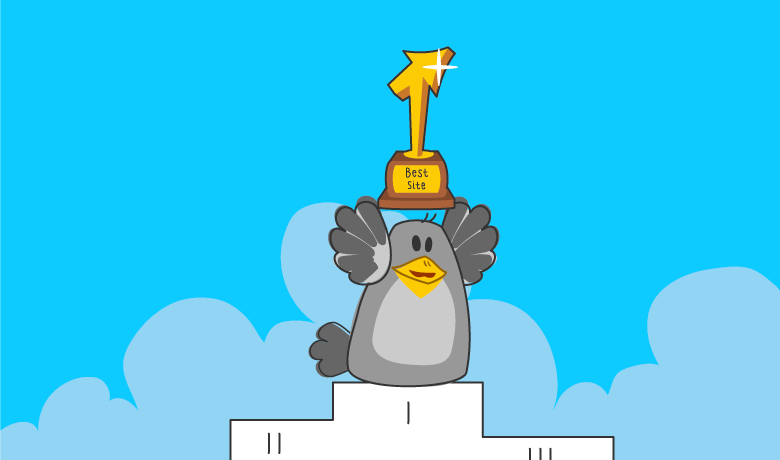 Since you are the only customer on the server, you don’t have to worry about sharing space with a spammer. Nor do you have to worry that your site might suffer if malicious hackers compromise another legitimate website on the same server. 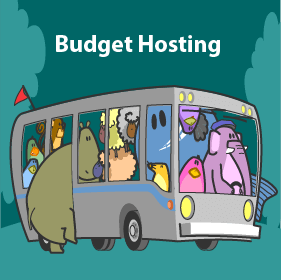 Many web hosts will offer multiple tiers, plans and configurations for their dedicated hosting services, catering to a wide range of needs and budgets. Dedicated hosting companies, such as Inmotion or Easyspace even let you specify your own server configuration, choosing which hardware, software and resources you’d like access to. As you’re not sharing a server with other customers, the best dedicated hosting providers will give you more freedom over how you use the hardware. This can including installing a wider range of software and scripts. It can also include more control over how the server and its software is configured. Finally, like the best shared hosting plans, you still don’t have to purchase any server hardware or other equipment on a dedicated hosting plan. Your provider will build out the server, install the operating system, and maintain the server’s hardware. Some providers will offer other services, such as backing up your server at regular intervals and will work with you to restore your site if disaster strikes. There are a few relative downsides to dedicated hosting, and the cost is usually the most obvious. Dedicated hosting will always be more expensive than shared hosting and even with a budget-friendly host like GoDaddy, prices can start from $69 per month. Of course, the amount you’ll be charged depends on the CPU, RAM, bandwidth and storage options you choose. 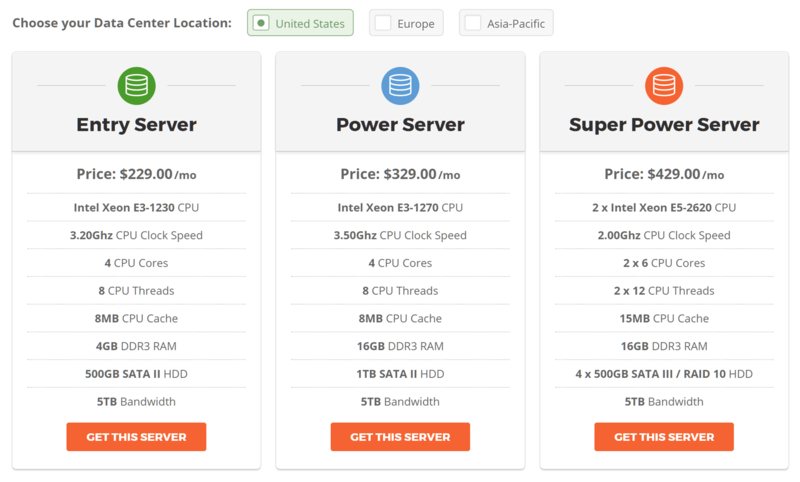 SiteGround’s plans show how much the price of dedicated hosting plans can vary. Another concern is security. With a dedicated host, you may be responsible for the security configurations of the server and any security applications or software that sit between the server and the public protecting against attacks. This can be common with lower priced services. Finally, there’s the issue of technical knowledge and experience. 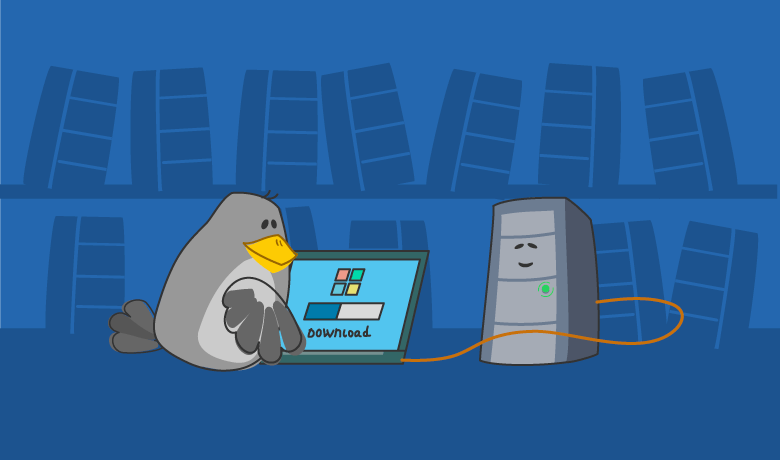 Having a dedicated server means you have access to just about everything at root level. The wrong command on the console could delete everything. Also, a misconfiguration could cause problems in both website performance and security. If you’ve made the decision that this type of hosting is the right path for you then you’re going to want to consider a few things when choosing the best dedicated hosting provider. If your core technology is ASP.NET or you plan on using IIS as your web server software then you’re going to need to rely on a Windows operating system. 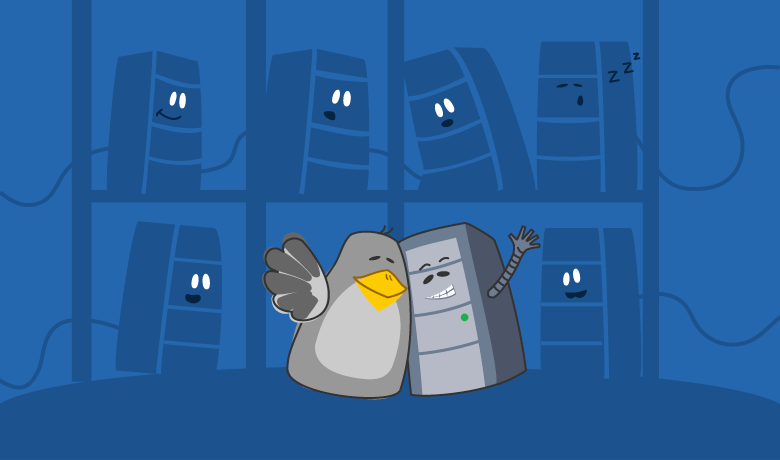 If you are using a LAMP stack or Ruby on Rails, then you need to have Linux options available to you. If you’re hosting a static website or even a basic e-commerce store, then you aren’t going to need the processing power or the storage space that a content-heavy multimedia site would. The best dedicated hosting providers will offer different options to meet your needs. If your site grows, either in terms of size or popularity, you may need to increase your bandwidth allotment. Even if it is only temporary, you want to make sure that your host is flexible when it comes to increasing how much traffic can be handled, especially if your content goes viral without warning. Even the best dedicated hosting providers often charge extra if you go over your bandwidth allowance. However, that’s better than one that will suspend your site until the next cycle. The best providers will also allow you to purchase more bandwidth on your current plan in advance, usually for less than if you buy this after the fact. So, if you keep an eye on your metrics to spot if you’re getting close to your maximum, you can then scale up easily if your host supports this. In most cases, you’ll be responsible for managing your dedicated server. However, you’ll still want to choose a hosting partner that will provide technical support should you need it. 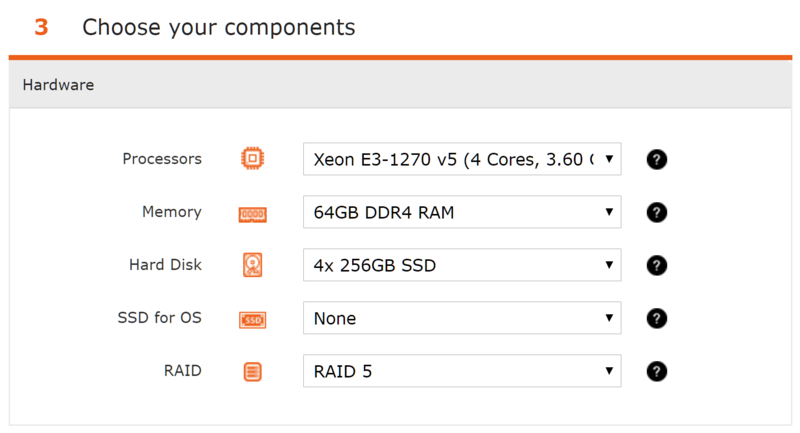 The best dedicated web hosts should understand both the hardware and software issues related to your particular server build. You shouldn’t have to wait long for a response either. When you’re paying dedicated web hosting prices, you should expect phone support alongside live chat and a ticketing system. Even the best dedicated web hosts run into problems from time to time. However, before making a final decision you need to be aware of what Service Level Agreement (SLA) is in place for dealing with issues like downtime. The best providers will offer an SLA that guarantees 99% uptime. Nothing less than that is acceptable. However, if you do something that brings your site or server down your provider may not responsible for any excessive downtime. With dedicated web hosting, it’s even more important to read the terms and conditions before signing up. As dedicated hosting is more hands on than other types of hosting, and is often used for mission critical sites, it’s vital you know exactly what you are responsible for and how much support you can expect from your host. If you do business internationally and collect financial or personal information from your customers, you will be subject to the different privacy laws in the countries your customers live in. This may mean that your data center needs to be located in a certain area. The ability to choose the location of the server that your website will be hosted on is extremely important. 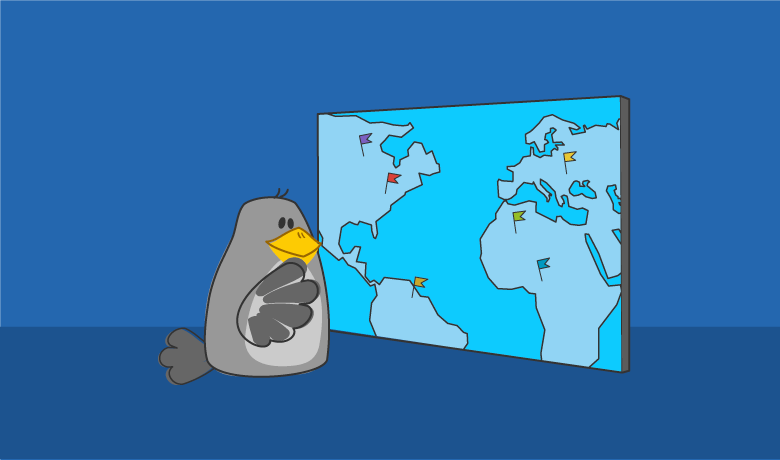 Some hosts, like 1&1, offer a choice of data centers, located around the world. Choosing a server location that’s closest to where the majority of your audience is based can help improve site loading times and performance — just be aware of the internet and privacy laws of that location. You also need to watch for upcharges when it comes to your hosting plan. A provider may quote one price, but then you find out that this does not include certain things like SSL, a management console, domain registration, etc. Know exactly what your quote includes. Another area that you want to pay attention to is security. You may be tired of hearing about it, but security is extremely important when choosing a host, and even more so when you’re using a dedicated server. Some hosting providers do offer firewall protection, intrusion detection, denial of service protection and other security tools. If you do not have the staff or expertise in house to fully secure your server, it is worth considering a provider that will assist you with this. Understand, though, that even if your hosting provider offers security services you are ultimately the one responsible if there is a breach. 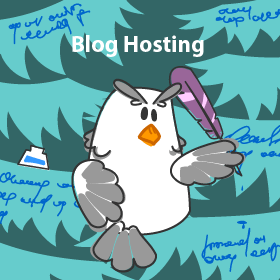 If this type of hosting is right for your project, dedicated hosting has many benefits. For businesses, or those running popular websites, having access to a dedicated server not only provides more security and greater flexibility, but it can deliver a better experience for visitors. 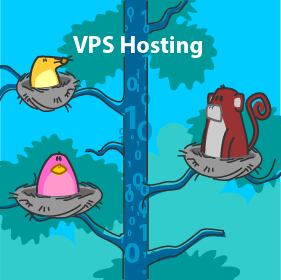 While you should never consider yourself locked into any one hosting provider, moving your site from one host to another can be a considerable effort and is likely to result in some downtime. 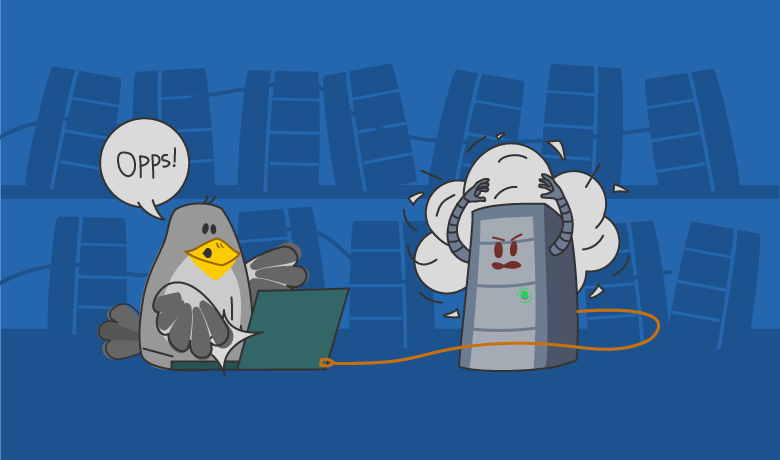 To avoid this, do your research ahead of time so you can choose the best dedicated hosting partner for your needs.